The Future Is Coming. Let's Make Sure You're Ready. Life can often come at us faster than we expect, but no matter what your future holds, we can help ensure that you will always meet the future with a sense of confidence and peace of mind. Our team of professionals leverages over 18 years of knowledge and experience to provide you with sound guidance to help you achieve both your short term and long term financial goals. We aim to develop a lifelong partnership; beginning with creating a financial plan that ensures your intentions are understood and your needs are being addressed. We specialize in offering tax-favorable wealth accumulation strategies and sound guidance on several financial product options. Are you aware of the living benefits of having a whole life insurance policy? Do you have a tax deferral strategy in place to maximize your retirement income? Are your savings aligned with your goal of sending your children to college? Is your family prepared to care for aging parents? Do you have a long-term care strategy in place to ensure your children are prepared as you and your spouse age? If you are a small business owner, does your company have the right legacy planning strategy in place? Your Vision. Your Priorities. Our Expertise. Our team understands that developing and implementing a financial plan that aligns with your vision can be complicated. We are here to simplify these complexities for you, allowing you to feel confident in your financial picture; both now and for years to come. We take time to get to know you and your situation, and make your priorities the center of every decision we make. We determine which avenues apply to your situation, and view your options through multiple lenses—providing you with a plan that suits you best. We Implement your plan with our expertise. Once we have discussed your goals and values, we use our expertise to determine any opportunities or ways to recommend additional methods for you and your family. Once your plan is complete, we partner together to implement it for you, and maintain it along the way. Our relationship does not stop there. We are committed to maintaining a lifelong relationship. As your life unfolds, we will be alongside you every step of the way. Learn how we can help clients achieve their goals with our comprehensive approach to personalized financial planning. With our 18 years of experience in financial planning, we have been there for clients in every stage of life. Because we know life has a way of surprising us, it is our mission to ensure that you are adequately prepared for your future. 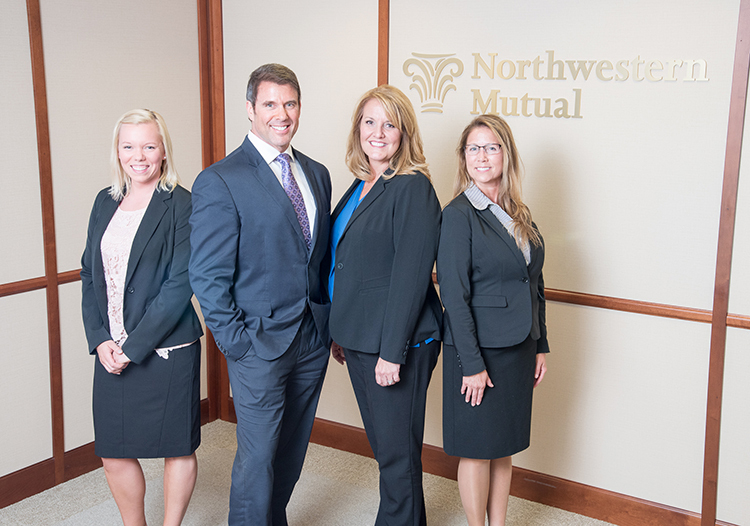 While each member of our team works to engage you and your family in a different way, our practice is also backed by the strength of Northwestern Mutual, which has the highest financial strength ratings awarded in the industry. We provide guidance to small business owners, professionals, established families, young couples, families looking to retire, families planning for aging parents, and those looking to learn more about how implementing a financial plan can elevate their lives. Manage your financial picture on the go. Northwestern Mutual is the marketing name for The Northwestern Mutual Life Insurance Company, Milwaukee, WI (NM) (life and disability insurance, annuities, and life insurance with long-term care benefits) and its subsidiaries. Douglas Brian Cokinis is a Representative of Northwestern Mutual Wealth Management Company® (NMWMC), Milwaukee, WI (fiduciary and fee-based financial planning services), a subsidiary of NM, and federal savings bank. All NMWMC products and services are offered only by properly credentialed Representatives who operate from agency offices of NMWMC. Representative is an Insurance Agent of NM and Northwestern Long Term Care Insurance Company, Milwaukee, WI, (long-term care insurance) a subsidiary of NM, and a Registered Representative of Northwestern Mutual Investment Services, LLC (NMIS) (securities), a subsidiary of NM, broker-dealer, registered investment adviser and member FINRA (www.finra.org) and SIPC (www.sipc.org). Douglas Brian Cokinis is primarily licensed in Illinois and may be licensed in other states.